I love back to school time. A new buzz of energy hits the house as we all say goodbye to the lazy days of summer. As kids are getting ready to start hitting the books, Culturelle – the #1 Pediatrician recommended probiotic brand – wants to help parents Fight against Back-To-School germs. We all know that classrooms can introduce a whole slew of new illnesses to our family throughout the year. 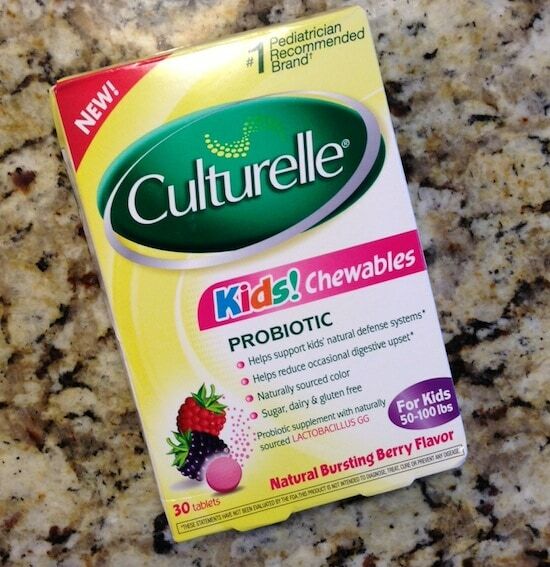 Culturelle Kids Chewables can help keep our kids healthy by “fostering the proper balance between good bacteria and the non-benefical bacteria that resides in the gastrointestinal tract”. Now, I know what you are saying. What does my digestive tract have to do with illness? Makes no sense right? Well, I just learned something that rocked my world. Did you know that 70% of your immune system is in your digestive tract? WHAT?! Culturelle Kids Chewables support our family’s natural defenses and overall health by helping us maintain a balanced digestive system. One simple pill can make a big difference. And there won’t be any problems getting your children to take them either. Their chewable form makes it easy for any child to take… and they taste great too! I wish I was filming my kids when I gave them their first pill. Their reactions were made for TV. Bill and I cracked up at our little hams. And just know – behind all that great taste is 2.5 billion active cultures working to keep our kids healthy. 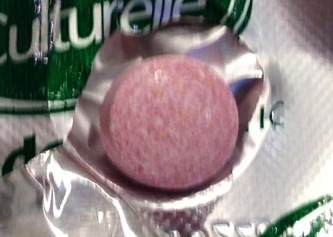 Parents will also be happy to hear that the Culturelle Kids Chewables are 100% sugar, dairy and gluten free. So, if your child has special dietary needs, these ingredients will not interfere. Do your children suffer from the occasional digestive upset? Culturelle Kid Chewables can reduce those occurrences because it provides “ongoing maintenance for a healthy digestive tract”. Win. Win. Win. For more information about Culturelle Kid Chewables, click here to visit their website and be sure to check out their Facebook page for great tips and some amazing coupons. This is a sponsored conversation written by me on behalf of Culturelle. The opinions and text are all mine.